The magnets always have a strong 3M self-adhesive label on one side. 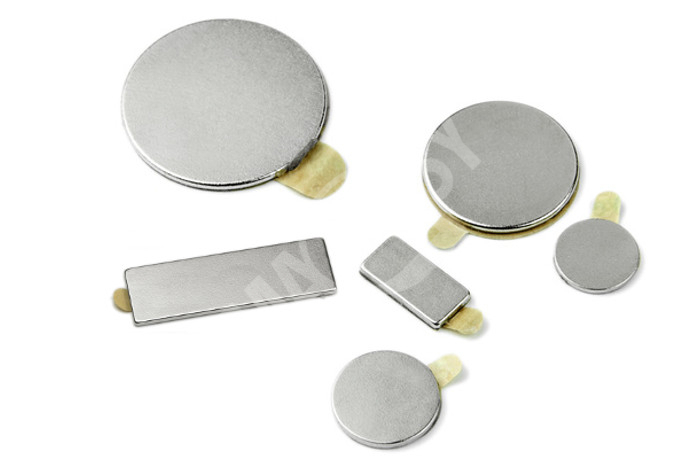 Therefore they have a different application area than other neodymium magnets. The self-adhesive layer holds the magnet on a piece of paper or a plastic foil. We sell round magnets also in pairs. The pair always has its smooth side magnetized with the opposite polarity so the magnets attract mutually and may thus serve as magnetic locks. You can use them on packaging materials – boxes or envelopes.